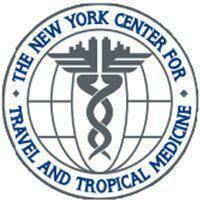 The New York Center for Travel and Tropical Medicine always appreciates feedback from our valued patients. To date, we're thrilled to have collected 2 reviews with an average rating of 5 out of 5 stars. Please read what others are saying about The New York Center for Travel and Tropical Medicine below, and as always, we would love to collect your feedback. I went with my daughter to get vaccines for our trip to Kenya. Our experience was excellent because our administrator was so kind, gentle and patient with my daughter. Thank you for your thoughtfulness with someone who has a fear of needles. The trip was Amazing and we couldn't have gone without your help. Very professional service. We are preparing for a trip to India and our consultation was unhurried and very informative. Lauren, our consultant/nurse, advised us on our options on what we should do and what we could opt out on if we so desired. In addition to our in-office inoculations and prescriptions (she sent them directly to our pharmacy via email), she also advised us on what brand of insect repellent to purchase and how to use it (deet is pretty toxic stuff). A great experience overall. (Great offices, too! ).